In the third and last article in our series on Employee Engagement, we’re focusing on authentic communications. Hopefully you read the first two articles on how two-way communications and recognition can drive engagement. Similarly, authentic communication can enable better dialogue within companies and so much more. The internal and external/marketing communications of today are a distant cousin to what they looked like just a decade ago. And the difference comes down to authenticity. Think back to the early 90s (if you are old enough…cough cough). What was the workplace like then? We think of full suits. And formality. And more rigid work environments such as offices or office cubes, and the expectation to be “in the office” every day. Times have certainly changed. Today, with the driving force being Generation X, most workplaces look very different. Sure, you still have your bankers who often have to get gussied up every day, but for many, the workplace is a more casual environment when compared to the past. We remember having a closet full of suits. Now, not so much. And today’s workplaces are physically very different. Many employers have agile workspaces. We work from home and at the office. And many people don’t go into an office at all anymore. We go to Starbucks, to a shared workspace or we work from home. Much like the physical work environments are more open and free-flowing, so are more company cultures. And with that comes (or should come) more open and authentic communications. A great example of authentic communications is “the company image video.” Do you remember that thing? We can remember painstakingly writing video scripts for clients, scripting them down to every head nod and voice inflection. Today, with the easy access to video technology (thanks Apple! ), the rigid corporate video has been replaced by more frequent video vignettes featuring employees from various parts of an organization. A video that used to take weeks to produce now takes just a few hours. Looking back, those videos of the 80s and 90s feel almost cheesy. And what’s the result of this shift? Current employees can better connect with their leaders. And potential employees get to know who they might be working with some day. They see leaders’ and everyday employees’ human side, not their polished, button-up side. They see their personality come through. This is made possible by authentic communications. One of our favorite videos is This is Zendesk, a recruitment video. While scripted, this video is very basic, straightforward and funny. We don’t know what Zendesk claims as its corporate culture, but we’d guess it’s no-frills, low-drama and candid. So what’s driving this authentic communications push? The demand for transparency, in every type of organization around the world. In the book Connect: How companies succeed by engaging radically with society, former British Prime Minister Tony Blair’s director of communications, Alastair Campbell, says many of the communications tactics he used during Blair’s term are irrelevant today. “This is the era of transparency, and you have to be radically authentic to connect with society,” Campbell said. 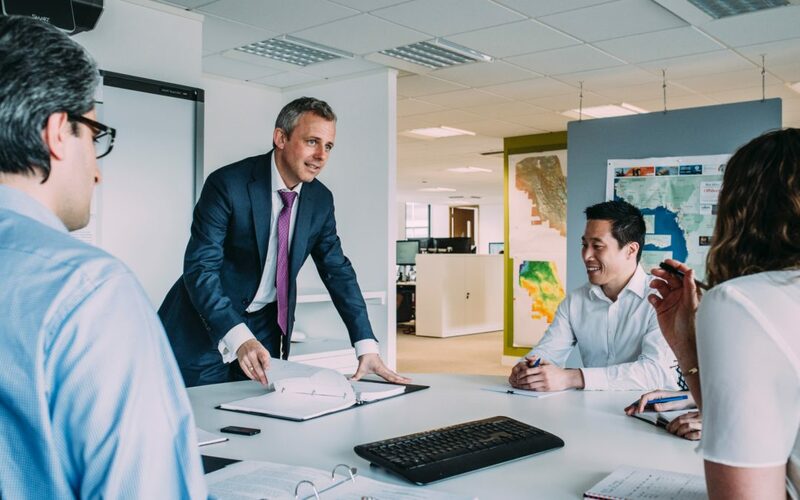 Much like political leaders need to connect with citizens, business leaders need to connect with their employees and customers. Authentic communication allows for this. So how can your communications become authentic and help improve employee engagement? Here are some ideas. First up, avoid jargon or buzzwords: Be clear in your writing and conversations—you really don’t need to impress people. Try to erase common corporate buzzwords, which are way, way too many to list in this article. Let’s do a deeper dive on that offline, trying to get alignment and synergies. Share the negatives along with the positives: We all know organizations have skeletons in their closet. And today, employees want to know and really understand what those are. The benefits of more transparency often outweigh the good. If leadership is consistently up front about both the positives and the negatives, employees are better able to roll with the punches. For example, if employees understand how an industry change is negatively impacting the business, they won’t be as surprised when their annual bonus takes a hit. They might not be thrilled, of course, but understanding the “why” takes the sting out of it a bit. By sharing the negatives, you’re being vulnerable. There’s a lot of chatter about vulnerability and its benefit to leadership. You can see a great TED talk about this by Brené Brown. Brown is the author of Daring Greatly, and she studies vulnerability, courage, authenticity and shame. Also, by sharing the challenges facing the business, you’re telling employees that you trust them with that information. As we discussed in an earlier blogpost, building trust through two-way communication is another key to strong employee engagement. Use pictures and videos that feature real employees and customers: Yeah, we all do it. It’s hard to avoid using stock images sometimes. But if you’re a major company with thousands of employees, there are plenty of opportunities to capture employee moments. And the quality of digital photography and video today makes it easier than ever. Write conversationally: Write like you talk, unless you talk really poorly! But seriously, just write like you talk. You’d never say, “We are appreciative of your hard work. Especially noteworthy was the attention to detail.” Related to this same point, use contractions. Years ago, that was taboo. Now, it’s conversational. Be mindful of the medium: What’s the most authentic communications? Ahh, yes, it’s face-to-face. If you’re a smaller company with one office and are making a large announcement, do it in-person. If you’re a large organization with multiple locations, make an announcement by livestream or webinar. Now that we’ve convinced you that being authentic is a good thing, we’re now going to throw in a word of caution. Too much authenticity is not necessarily a good thing. If your authentic self likes to spew profanities, or gets weepy every time you’re confronted with a challenge, that’s not authenticity. Simply put, that’s you needing some coaching, support or professional counseling—or all the above! After all, at the end of the day, you’re supposed to be a leader in your organization. Also, if your company is struggling to make payroll, telling your employees on a daily basis might not be the best idea. In other words, there’s a fine line between being authentic and unsettling your employees. Being occasionally vulnerable is one thing. Not having any filter is another. To summarize our three-part series on employee engagement, building and maintaining employee engagement and trust is difficult, but three actions can help. The first is two-way communication or dialogue. The second is employee recognition. And the third, which we covered here, is authentic communications. There’s much more we could have covered in our series, but we hope we’ve given you some nuggets to consider. In our next blogpost, we explore an entirely new topic: crisis communications.